Calex infrared temperature sensors continuously monitor the temperature of the surface of an object. The established PyroMiniBus models PMB201 and PMB21 satisfy most applications where the target is larger than about 30 mm, and provide the temperature digitally via RS485 Modbus. However, there are cases where the target is much smaller than this: the edge of a busbar, or a small cable lug, for example. 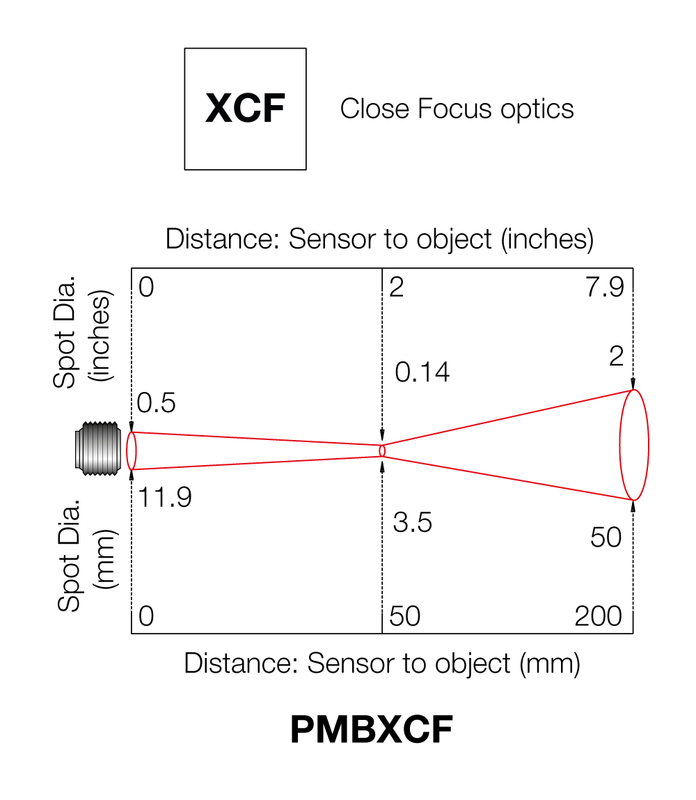 The new model PMBXCF, with focused optics, measures a spot just 3.5 mm in diameter at a distance of 50 mm. 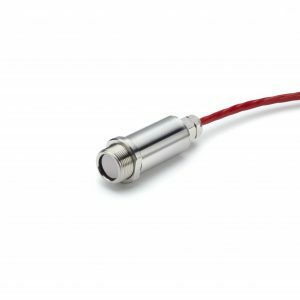 We normally recommend the target is twice the size of the measured spot, so this sensor is capable of measuring targets at least 7 mm across with maximum accuracy. For the best results using general-purpose infrared temperature sensors, metal surfaces should always be painted or coated if possible (for example with a non-reflective label, or heatshrink). 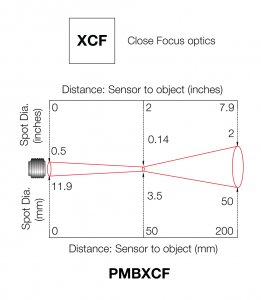 The size of the non-reflective area needs only to be 7 mm or more for use with this sensor. The new industrial panel PC models PM7P (7″) and PM10P (10″) are pre-installed with CalexSoft 2 temperature measurement software. 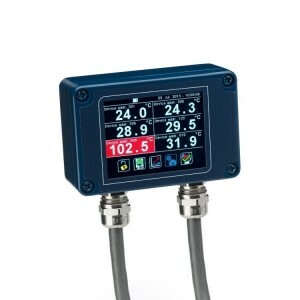 The software includes a Modbus TCP Server that makes the data from the sensors available in real time over the touch-screen PC’s Ethernet connection. Data can then be accessed via SCADA. 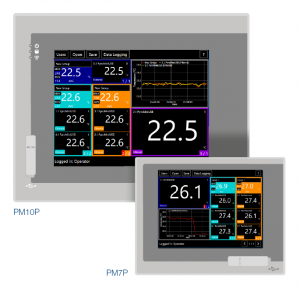 The 6-channel PM180 local display helps the maintenance engineer find the location of a high temperature reading at a glance. 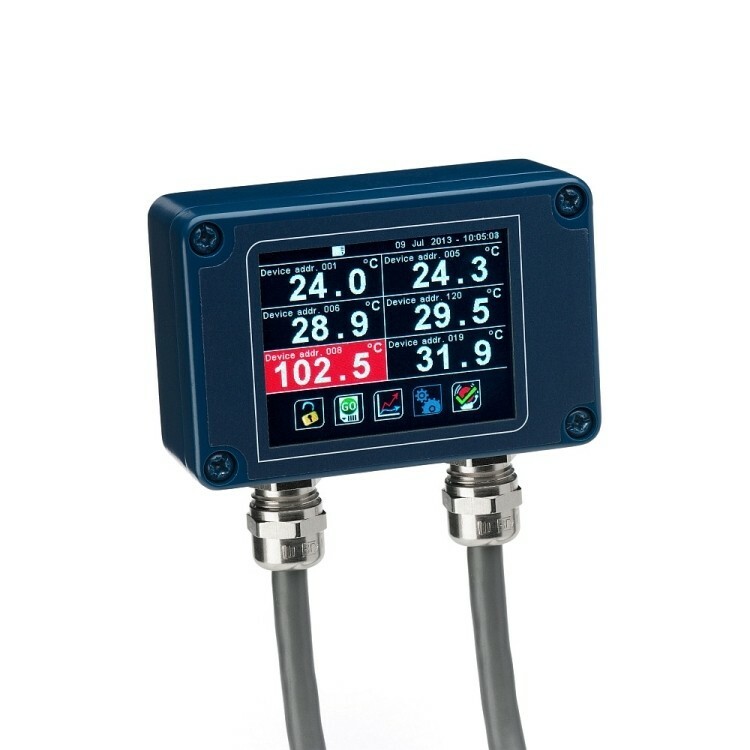 On-screen alarm indications are configured easily using the built-in touch screen so high temperatures turn bright red. 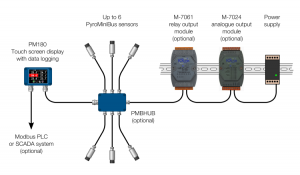 Digital communications via RS485 Modbus allow the PyroMiniBus sensors and display units to be laid out in a network to suit your application. Cables are simple to extend using your own terminal blocks or our PMBHUB 6-channel junction box. 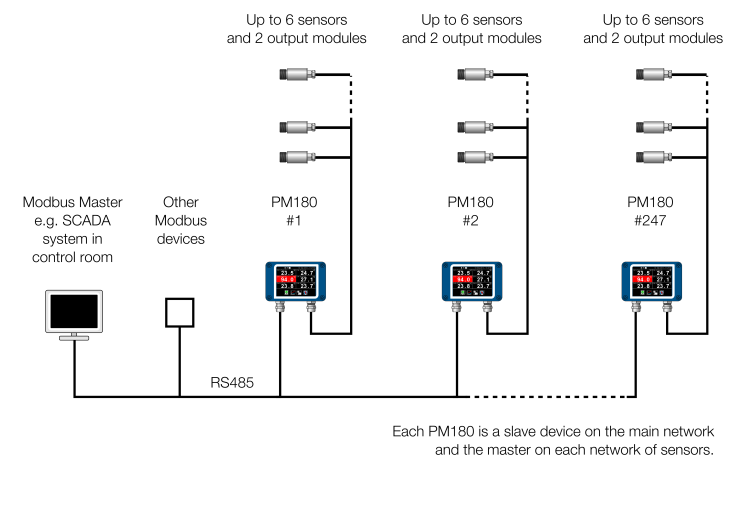 Sensors may be connected directly to a Calex 6-channel display, panel PC, or your own Modbus Master (e.g. 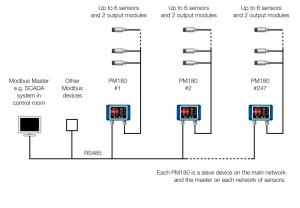 SCADA or PLC). For technical sales and support, get in touch with Calex here or send us an email.